“£50 million down the drown, Tony Martial scores again” has been a frequent rallying call amongst the Red Devils this season, with the Frenchman currently standing as the club’s top goalscorer. In what has been a rather drab start to the season, Martial has been a shining light through the dark clouds that currently loom over Old Trafford, showing glimpses of his 15/16 form. It could, however, have been so much different for the 22-year-old. Coinciding with numerous pre-season reports, Martial could easily have been wearing the black and blue stripes of Inter Milan this season, if Jose Mourinho had received his transfer wish. Destiny, though, is a funny thing, as the wide forward’s performances are an influential reason behind why Mourinho remains in the hot-seat as United boss. Despite frequently backing Alexis Sanchez, since his arrival last January, the Chilean is yet to find his feet in Manchester, having failed to replicate any sort of electric form that we became so accustomed to seeing during his time in an Arsenal shirt. Sanchez’s arrival did hinder Martial’s prolific form and only now is the Frenchman finally being granted a deserved run in the side. After scoring six goals in his last five league games, the inside forward has seemingly cemented the position on the left as his own, causing opposition’s fullbacks all sorts of problems with his agile dribbling and clinical finesse shots. The recent form showcased from Martial has, inevitably, brought up the concerning question of the attacker’s current contract situation. Reportedly, the 22-year-old has rejected an offer from the club to renew his current deal, which runs out in 2019 (with an option to extend for another year). Given his impressive form and limitless potential, the young star would certainly not be short of offers from clubs across Europe, with transfer rumours and speculation already creeping onto our social media feeds. 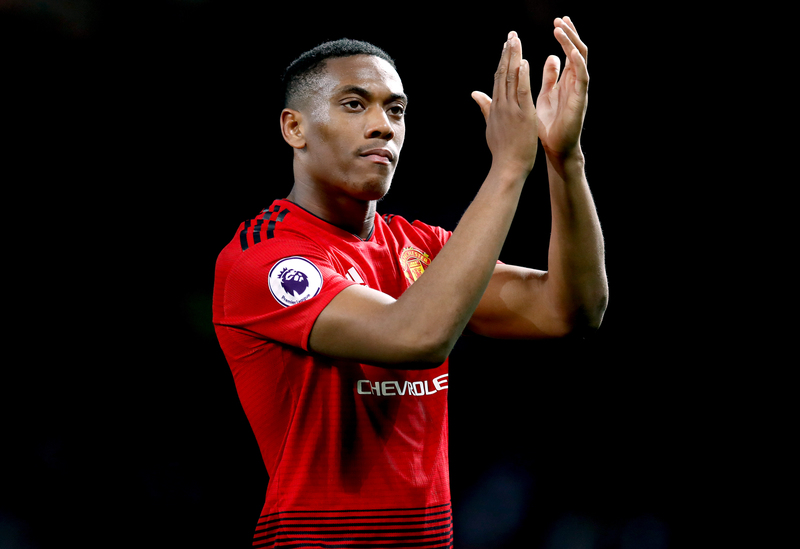 There can be no questioning Martial’s love for the club itself, if his celebrations are anything to go by, but there is certainly a question looming over his relationship with the manager. Mourinho has a notorious reputation for possessing a ‘love-hate’relationship with his players and his relations with Martial since taking charge of the club in 2016, have been nothing short of complicated. Some may argue that his tough-loving for the winger has resulted in getting the better out of the player, whilst many will simply state that Martial has always had this ability in his locker. One thing is certain; the club cannot let this special talent go. The 2015 Golden Boy is destined for great things in the sport and United cannot let him embark upon his footballing journey elsewhere.